About a month ago, I started really paying attention to a Facebook friend of mine's posts about Whole30. I was not familiar with this, but she was posting delicious looking meals and was posting about how great she was feeling. So I asked her to fill me in on what Whole30 was. She sent me a copy of the book It Starts with Food (ISWF) by Dallas and Melissa Hartwig. My husband and I both read it and we picked a date (April 8th) to start our Whole30. Based on these standards, the following foods will be eliminated: sugar, sweeteners, alcohol, seed or vegetable oils, grains, legumes, and dairy. Over the next 30 days I am planning on going more into detail on why these foods do not pass the good food standards, based on the book. But for now, I want to focus on what we will be eating over the next 30 days, because I am choosing to look at this from a positive view point. All of these foods are Whole30 approved: protein from meat and eggs, carbohydrates from vegetables and fruits, and also healthy fats. A great shopping list can be found here! The shopping list has more details about what are the best choices for each category. "The food you eat either makes you more healthy or less healthy. Those are your options"
This is a direct quote from the first chapter of ISWF. This is what directly influences the entire book. Over the next 30 days I will blog more about what this means and more about our experience on our Whole30 journey! 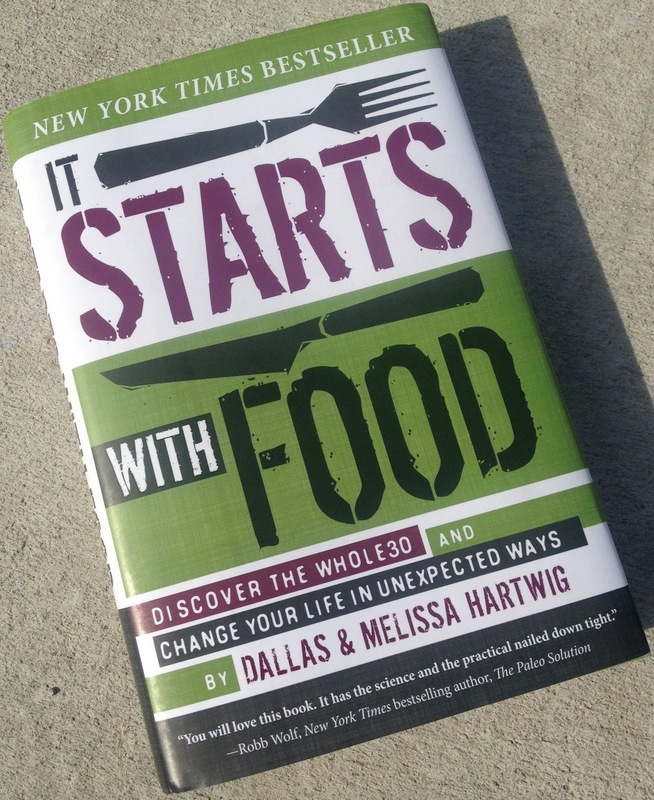 If you don't want to wait for me, I encourage you to pick up a copy of It Starts with Food or check out the Whole9 website!